Here's a few highlights and then it's over to you for yours. And if the suit of lights for Ultraviolet is making a name for itself, welcome to the steering wheel microphone swinging low from high up in space station - now with added LED's. What will they think of next ? when i was dropped off by friends at Soldier Field- i was AMAZED to see the LENGTH and WIDTH of the GA line - i thought i would be last at the back of the stadium- but no- I was quite close. I made a lot of friends around me - a couple of kids from Wisconsin who were at their first U2 show, and some people from Spain and Germany who were also at their first!!! I KNEW that they were in for something VERY, VERY special- just HOW special , i didnt know the full extent- let me tell you- EXTREMELY SPECIAL it turned out to be- AMAZING , AMAZING night.!!! the songs were ALL there- the performance was brilliant!!! I felt a LITTLE embarrased when Tutu was on the screen and I yelled "Streets!!! they're gonna play Streets", but they ended up playing One- oh well. I was in HEAVEN the whole time and on the El on the way to my hotel (I had to fly out EARLY the next morning for the first day at a new job) . It was a pleasure talking to fellow U2 fans on the El. Something else special at the show was the WHOLE FAMILIES there together to see our boys. I look forward to the day when I take my daughter. Bravo!!!! Bravo!!! 4 more shows to see summer of 2011 - CANNOT WAIT!!! Loved being there for the first ever performance of "Your Blue Room". "City of Blinding Lights", "Unforgettable Fire", "Sunday Bloody Sunday", "Where the Streets Have No Name", "Ultraviolet" and "Moment of Surrender" were amazing. Can't wait until Chicago and St. Louis this summer. I am baptizing my children in fire. This was my nine-year-old son's first concert. I ruined him. He will be disappointed with any show I take him to after this. We already have tickets to see the show again in Pittsburgh next year. This will be my eight-year-old daughter's first big concert. Moment of Surrender elevates the already fantastic finish to a magnificent show. This was instantly my favorite track on No Line on the Horizon. I am hoping to hear Drowning Man in Pittsburgh. My husband and I were together for almost 30 years and have been fans of U2 for just as long. There have been other chances to go to U2 concerts over the years, but for one reason or another, it just didn't happen. But for our 25th Anniversary, we flew to Chicago and saw U2 to celebrate. It was a magical evening made even more so because my sweet husband passed away last month. 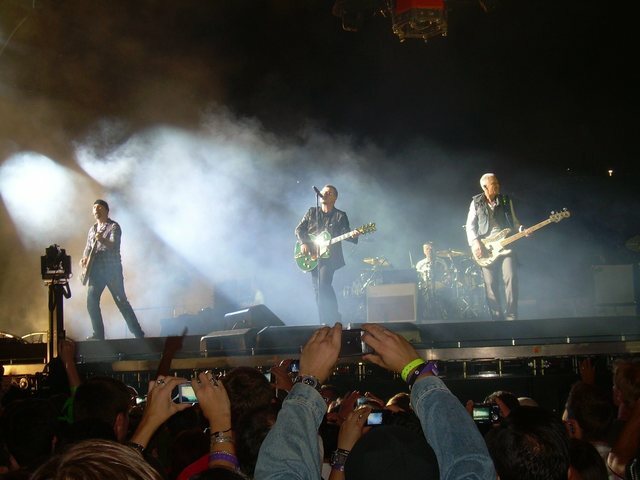 I am so glad we were there and U2, our band, was there to make such a memorable evening. 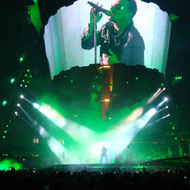 A flight to Chicago, a long weekend with friends new and old, capped off by a VIP @ Soldier with U2...wonderful. Larry was driven by a Divine-inspired tempo this night, and many moments I felt myself simply carried into things by the beat. Crazy Tonight...fabulous. The enormous screen with the band's black and white faces moving to the beat...intoxicating! My friend wound up with bruises on her thigh from bouncing off the seats in front of us. We just couldn't hold still. The VIP treatment wasn't really worth the $ but the seats were wonderful. I did find myself wondering, though, how these guys, with millions of people watching them on tour, decide what "platform" to take, what message they want to get out. 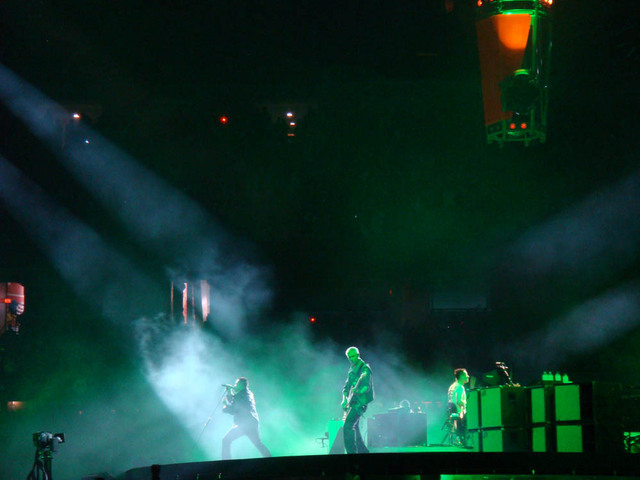 I've actually heard U2 fans say they're going to "church" when going to a concert. This makes me sad. If I were one of the band members, would I use my mic to spread the messages of Christ? Hard to say. I hope so. The best for me, though, was Moment of Surrender. I've had moments of my reflection staring back at me. Speeding on the subway through the stations of the cross...this song has stuck with me for months now. And I was treated to U2 on SNL singing this song for me again not long after this concert. 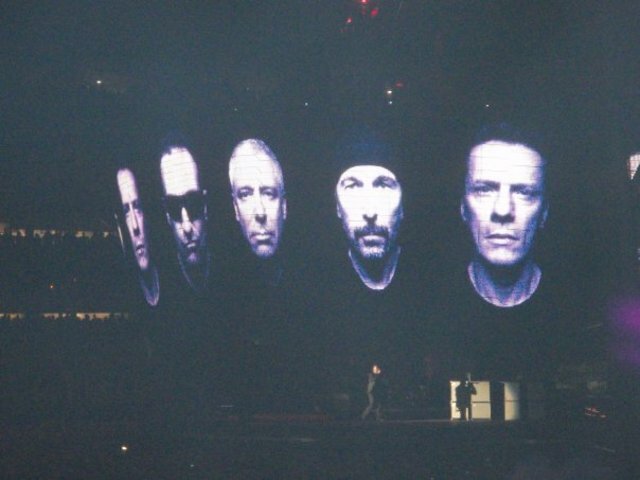 I am returning to Chicago in July...see ya then, U2 guys! .. Grace, Still Haven't found.., Stay. What a Sunday 'service' indeed. My 7-year old's first concert on his birthday, what a cool little kid - he sang along with everyone else. An experience I was thrilled to give him. THANK YOU for all of it, for putting your all out there. You instill gratitude. Peace. 2nd nite in Chicago was the most amazing man-made thing I have ever seen. Very cool and worth every penny. Thanks guys. Ultraviolet was incredible, Blue Room a great surprise, Stay - amazing! We were there the first night, but the second night was even better.... Just wish I were rich and could fly to another city soon! Brilliant sounds and sights in the second city of blinding lights! It was the second time I've seen you perform live, and you've blown the top way off of the concept of a live show once again. It was special to me that you launched your North American tour from my beloved hometown. And although I live far away from Chicago now, it is a wonderful homecoming when I travel back to see the band with whom I've developed a 27-year love affair, one which began in this very city when I was just a kid trying to find my voice. You have become a fiber in the cloth of who I am and it was a special night to see you again, under the stars, sitting atop big shoulders. Can't wait for our next rendezvous... And as for the "space junk..." My sisters and I had 11th row seats in the section immediately behind the stage for the Sunday night show. 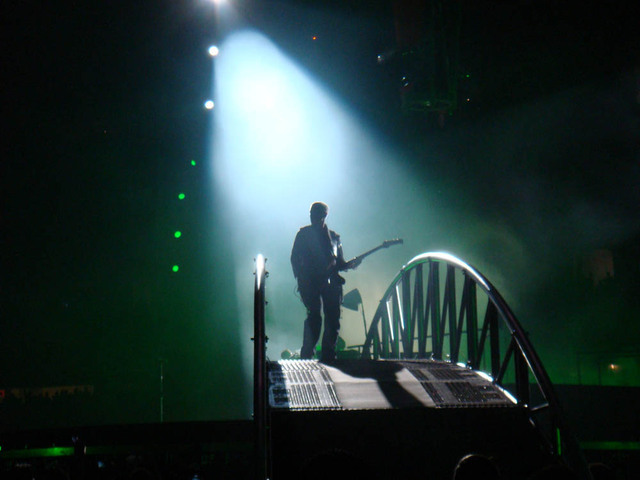 Knowing how you have in the past been challengers to the traditional concept of how a live show should be staged, I knew being seated in that location would give us a unique experience. Your 360 concept gave us an amazing view and experience of the show - friends look at my photos and ask, "were you ON the stage with the band?!" We also appreciated the way you broke apart the concept of how a band presents itself to its audience...no permanent "lead", but a constant mingling and interchange of players, interacting with an audience that was ready to step up to the task of "5th member of U2!" Thanks for letting us into the mix for one night...a memory which I'm sure will be remembered by all who were there for a lifetime. I went to both shows and I still get goose bumps thinking about the most 2 amazing shows of my life. It was worth every penny spent and I hope to do it agian the next time around. Thanks U2 for an unforgetable night! My wife received Bono's towel after Stay. We were in Red Zone. If you caught a pix, please post it. Thanks! What an awesome show!! My best U2 friend and I headed up to Chicago on Saturday for a U2 weekend. While our tix were for Sunday, we decided to go to SF on Saturday to check out the area--wow, were we in for a treat! Got to hear the entire Saturday show (Bad sounded fantastic! ), met lots of great U2 fans (who must be the nicest fans out there), and enjoyed the beautiful Chicago skyline adn weather. We returned Sunday for our show and it was beyond words. Besides seeing and listening to the guys, the best part of the evening was getting to see the joy and excitement on my friend's face--this was her first U2 concert (my 5th), and it did not disappoint. We are praying for a St. Louis show and plan on bidding on some red zone tix! Thanks to U2 and the entire staff and production crew for making our two nights in Chicago memorable forever! This was my first U2 concert, and it was unbelievable! I am 28, and went with my 40 year old aunt and 22 year old brother. We all enjoyed it. The spaceship was great! Thank you! I went to both shows in Chicago. Loved them both. Favourite song was Crazy. Simply awesome version. Can't stop watching it on you tube :) Ultraviolet beautiful live - takes me back to Zootv. Not sure which outfit I prefer though - Bono's laser light jacket or Macphisto's gold suit :) I can't wait to see them in NY and Tampa. Thanks so much for the music U2. I have been asked over and over again, "How was the concert?" My response is always, "Beyond Words" followed by this gleaming grin that doesn't seem to stop. This was the first time I had ever been away with my honey and I wanted to say thank you for provideing us with such a memorable night. Your renditions of Stay, Your Blue Room and One had me in tears. The reminder of my wonderful family and the sheer energy of the show brought out my emotions. Also, thanks for getting out of the car and waving on Saturday Bono, this got us even more fired up for Sunday. We were from Green Bay inside Soldier Field the night of the Packer game and the Chicago fans were so friendly. U2 always takes care of their fans. This show is a must for any fan and we are hoping they return for a spring leg of the tour! Please return for a spring leg! Saturday night's show was absolutely beautiful. I intended to rest Sunday evening before returning to Pennsylvania but could not resist the urge to walk back down to the stadium. Seeing U2 live is always such a blessing. My moment of surrender occurred again when I looked around at the faces of the other fans. Everyone seemed to be feeling that unexplainable joy. Went to both shows and would ve gone to a million more. The whole experience from the beautiful weather, amazing skyline, awesome stage and the best band of all time just made it an absolutely perfect evening. I was throughly impressed with snow patrol. 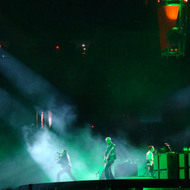 U2 will have a great tour and can't wait to they come back to Chicago. The concert on Sunday was amazing. The guys put on a great performance. I loved the new version of "Crazy Tonight" and "Streets With No Name" was terrific as always. I couldn't believe how great the concert sounded--I have never heard better sound at a concert. The "Spaceship" was awe inspiring--absolutely beautiful. 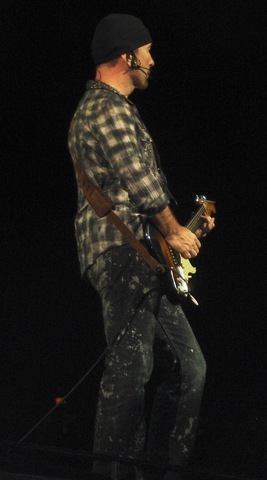 What can I say, Bono was AWESOME, and The Edge is the BEST!! And it was really nice to see Adam and Larry move around for once.The set list just kept going and going, I couldn't have picked better songs myself. Now with all that being said, I really could of lived with out the "Claw" it was impressive, but they really didn't need it. All ANY U2 fan wants is to hear the band.You guys said you wanted to get back to basic's and be close to your fans, but it just didn't feel that way ( and I had 5th row seats). Next tour could you guys just have a normal stage.I think your the BEST band ever!! Song wise you were a 10, stage wise, it was just ok. Good Luck with the rest of your Tour. 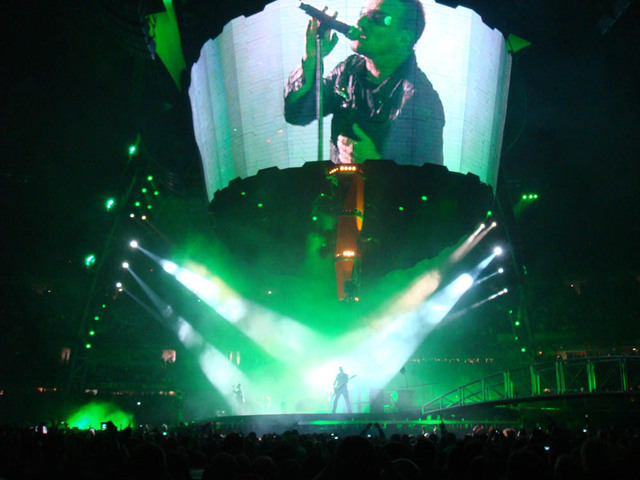 U2 NEVER fails to amaze, stun and exhilarate. 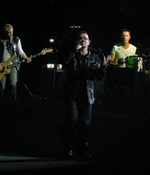 I have been following U2 thier whole career and have never missed a concert. Each tour gets better and better. I loved the selection of songs they played... old and new. It was a perfect blend. The stage and show was amazing! what will they think of next!?!?! This was/IS the must see concert of the year! Thanks so much for an AMAZING night! But sounds like the second was even better! What I would give to have heard Your Blue Room, yes it is the most beautiful songs ever, and Stay, which I haven't heard live, going to Atlant show too, so please play them there!!! The show is an awesome thing, the new songs were incredible live and hearing songs from the Unforgettable Fire, first tour I ever saw, was great. 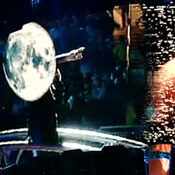 Bono, The Edge, Adam and Larry thank you so much for bringing us the most innovative stadium show since Pink Floyd. You guys are AWESOME! Sunday night, I decided to go jogging on the bike path along Lakeshore. All I could think about was Saturday's incredible show. 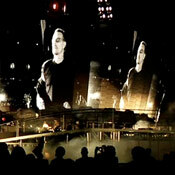 When I returned to the city I went back to the stadium and sat on the grass, listening and watching the light display. I couldn't resist!! Although I was outside, it was still a very beautiful experience and I stayed until the end. Even though I couldn't see it, it was still fantastic! What an amazing show!!!! Thank you for a great production. Your Blue Room made my year!!!!!!!!!!!! I was able to take some awesome pictures with a dinky camera. Thanks U2 for rewarding your best fans to get such a great view for the lowest price in the stadium! Amazing show, so fun, loved it all, even the first hour of fighting for a cab after the show. (Second hour, not so much.) 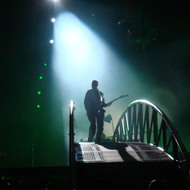 Wrote about the Chicago show and my quest for The Edge on blog@ www.adayinthewife.blogspot.com Only thing that would've made it better is if Muse would've opened instead of Snow Patrol. Sorry SP, saw you at Coldplay. You're fine, but Muse rocks my world. After U2, that is!